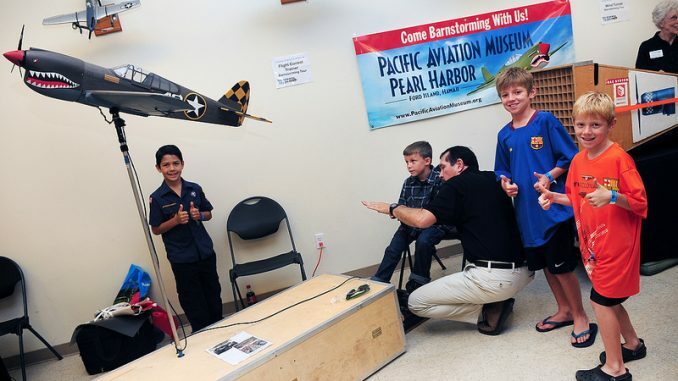 The Pacific Aviation Museum has one of the best educational program in the nation. Young people interested in aviation as a career or hobby, schools, Scouts, and families will want to attend Discover Your Future in Aviation at Pacific Aviation Museum Pearl Harbor Saturday, March 29 from 10:00am to 4:00pm.This is the fifth year for the special aviation day, which will feature hands-on workshops, a career fair, flight lab, and interactive science exhibits. Guests can venture into the open cockpits of some of history’s greatest aircraft and learn to fly on the Museum’s flight lab simulators. Participants can enter to win aviation prizes and take photos with historical re-enactors such as Amelia Earhart, Rosie the Riveter, a Zero pilot, Amelia Earhart, and more. Girl and Boy Scouts can fulfill objectives for badge programs, also. In celebration of Women’s History Month and the contribution of women in aviation, the Museum will honor Captain Sharyn Emminger Dey, the first female pilot to fly for Hawaiian Airlines who captained the highly publicized flight of the first all-women flight crew of a United States scheduled air carrier. A special celebration of Captain Emminger Dey’s career will take place at the event. Discover Your Future in Aviation is free with regular Museum admission and free to Museum members. To attend, purchase General Admission tickets online at www.PacificAviationMuseum.org. 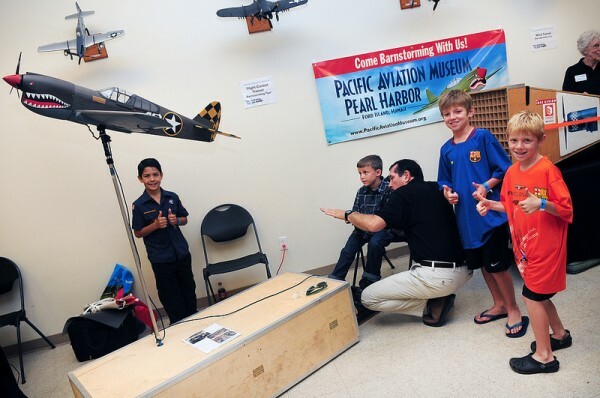 For more information, call 808-441-1007 or email Education@PacificAviationMuseum.org.